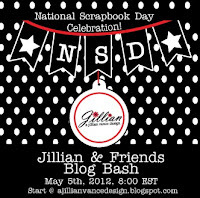 Princess & the Paper presented by A Jillian Vance Design: Welcome to the Jillian and Friends Blog Bash! 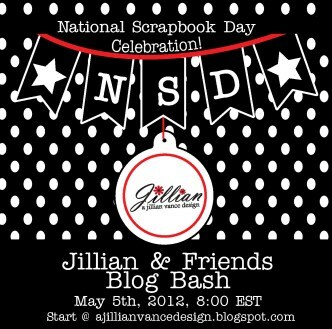 Welcome to the Jillian and Friends Blog Bash! Today we are celebrating National Scrapbook Day with our friends! We are honored to have an awesome group of talented designers. So sit back and come along! For my 4-H project this year I decided to take Scrapbooking! Kind of appropriate since that is part of my business! So it isn't as easy as making a card but it is a lot of fun! This is from when I went to see Allstar Weekend, and me with the tickets in front of The House Of Blues! Once you complete the Blog Bash list, please head back over to the A Jillian Vance Design blog, become a follower and leave a comment on what you thought of our Bash! Two winners will receive a Gift Certificate for $5 off anything in our store ~ including our new Sale Stamps section! Now head on over to the talented Ruby at Handcrafted Simply by Us. So cute! Love the colors and you should wear red. It's a great color for you!!!! Awe. This is so fun! I love the idea of using the pocket die to hold the ticket stubs from the show!! Very clever! Great job Jilly! That was such a fun day, and more fun because we shared it with you! Great memories! 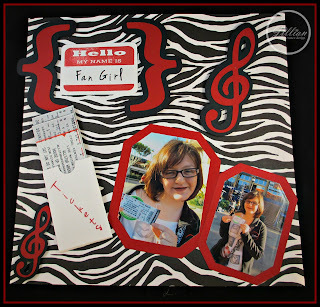 Fabulous and hip page, Jillian! 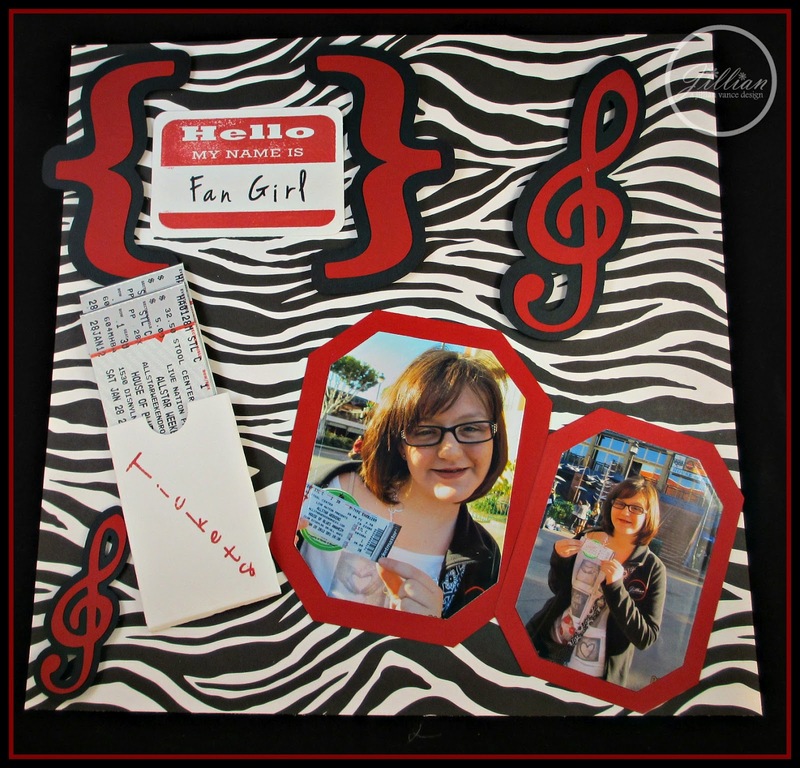 Loved that you did a scrapbook page because your stamps go with ANY KIND OF PROJECTS!! Woohoo~! Great layout Jillian! Love the zebra print! Animal print is a favorite of mine! Great job! Keep up the creativity. Super Cute, Jillian!! Glad to be participating in this hop with you! Very cute layout, I love the zebra background. So cute and I also love how you used the pocket die! That's next on my wish list!!! Happy NSD and love your products! Love the zebra print. Very cute! I'm loving that pocket die! Nicely done! Jillian, your page is terrific. The pp goes so well with the treble clef signs, & using the pocket die for tickets was brilliant. I love this idea. Thank you so very much for allowing me to participate in this hop. It really was a great honor to play along with you. I have a lot of respect for you. Hopefully, we will meet one day.